Here is a simple script that will check if your specified service is running and will start it if it’s stopped. Thank you very much for posting this neat and perfectly working shell script. I have tested the shell script and found it to be working fine. once the service is restarted the script should me modified so that the service is again grepped and a mail is sent to the concerned administrator. Here is the script modified to suit your needs. You must have mailx installed, for installation check my post here. subject="$service at $host has been started"
subject="$service at $host is not running"
what kind of linux distro are you using? when apache is stopped and you execute the script from the console, you get the following message? I hav attached a screen shot of the same to user@domain.com for your reference. Try executing the commands as root. I think the IF condition is not working properly, is there any problem in the script? I know this is an old thread but I found this, I got the same results as vibhu, script says service is running when it is not. The service I am checking is minecraft and my script was named check_minecraft_service. I ran “ps -ef | grep -v grep | grep $service” on top of the script to se what it returned and in the results was my script. So I renamed the script to “check_mc_service” and then the script worked. So somehow the script name is included in the grep and therefore the service is listed as running. Can you please give full script ? This is old thread, but the problem is value of $(ps -ef | grep -v grep | grep $service | wc -l) is different beetwen terminal and bash script. and then, echo $data to know the real value of those. I found, when service start value is 5, and service off value is 2. By using if else (value>0) the return value is always TRUE..
so you can fix with new if else with real return value from bash script not from terminal. Reason : ps does not show the name of child process in it’s output. Instead it will show parent process’s name which would be the script that runs all the above code. Now, on executing abc.sh, ps will show abc.sh and not def.sh( which has been called from inside abc.sh) under its CMD attribute. So, grep def won’t return anything. Thanks for the modifications. This has fulfilled my requirements. above command will return 1 if apache2 service is running. monit is good utility for these kind of jobs. Hope that you are having a good time. On linux base application server, How can I make a script to check the file size, if it is not increasing then RESTART SERVICE and system check this after each 10 minutes. You want to check the size of a file? The problem is that it is still showing the service as started even though it is still runnning. can youplease tell me if i am missing something here. Yes, you’re right the script would be more flexible using $1. At the time I wrote it, that’s what I needed. If you have the time, it would be great if you could explain to people reading, what should they change to use it with $1 and why it is better. I am needing to restart mysql with this and every time I invoke the script using a line inserted into the sudo crontab, it returns “initctl: not found” and “start: not found” when it attempts to start up the service. If I try to start it up from a shell directly by doing “sudo /etc/init.d/mysql start” it works. Do you have any insight on this? I believe I did just that, as I do not have “sudo” in the script anywhere, but it still does not work. I discovered how to get the script to start the mysql service, I had to define PATH in line 2 of the script. When using the line “if (( $(ps -ef | grep -v grep | grep $service | wc -l) > 0 ))”, the service is detected as running even when it is not. Then I tried the line “if ( $(ps -ef | grep -v grep | grep $service | wc -l) > 0 )”, the service is detected as NOT running even when it is. hi chandler, i am also getting same error.can please tell me how to start the service from script. Sorry for the spam, I figured it all out. I was using the $service variable for both trying to check the process list for the service and also to start it. However, MySQL appears in ps as “mysqld” but it has to be started with “mysql,” so I just did away with the variable and all works now. Thank you for putting this script out there! You can use and improve you script. This wont work if any other process name username or executable script has the service name in it. Then grep will filter by the specific executable path which is more reliable. Additionally increasing the > 0 is a possible solution but unreliable since if another process is running with the service in the name will show the service is running even if it’s not. This is more of a quick short term solution for a temporary issue. If you need constant monitoring as a long term solution look for actual software that does this. still wont work if another application has the same word as your service in it though. Explicit executable path is probably best. Maybe I should modify the script for the reasons you mentioned in your previous comment. This script not working for me. I had a problem with Idera Backup software because their agent dies everytime when they upgrade (reported to Idera few months ago – without any result) it and I try this script but it’s not working for it. If I run “ps -ef | grep -v grep | grep httpd | wc -l” in cli the result is “0” when the “service cdp-agent status” returns me: “/etc/init.d/cdp-agent status: cdp (pid 17039) running”. When the script is stopped then result is the same from this check. Try replacing “service=replace_me_with_a_valid_service” with “service=agent” at the second line of the script. What is the output of the following command? You could try the following script and let me know if it suits you. I haven’t tried it, I wrote this on the move on a text editor, so if it’s not working, let me know and I will fix it. Need small help on the below testcase. component name,databasename,username,password details and I need to update those details in config file which are under different sub directories after matching with component name and db username. Please help me on this testcase. 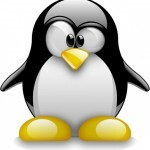 I am new to Linux technology and I want to workout for my web server issue. Some time httpd ad mysqld service is not responding then we have to restart service manually. Can you please help me in this case. Have you tried to use the script? I have tried script and received syntax error as below. try “wc –help” for more information. service is starting but not responding for 2 or 3 minutes then it responding. I want to auto restart mysqld and httpd both. I would also like to restart whole server once in day. 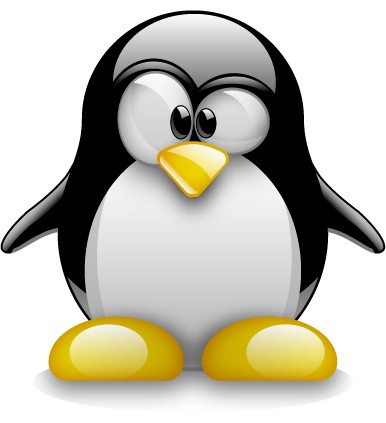 What linux distribution are you using? A lot have changed since I wrote that script. The error says that you have 1 (number one) instead of l (lower case L letter). Just copy and paste my script changing only the second line(name of the service). I am using centos6.5 and tried running your script from the cronjob to start the stopped service. But from the cronjob it does not work but if I execute the script directly it works fine. Can you get me some insight what might be wrong? Executable permission is already set. Does not work from Cron? Even tried with /sbin/service or /etc/init.d/servicename but still the same result. Any other advise on this? How can i check if the service is present but not responding or Freeze..? what can be the script like? If i have multiple services running on a single host.what would be the script to get notify by mail if any of the services are stopped on that host. You can create a file and put there the services you want to check. Then you can put the code from my script in a loop where each service will be checked one after the other. Unfortunately I don’t have time at the moment to write the script for you but if you follow my instructions and try to find some examples on the internet you shouldn’t have a problem writing it yourself. Thanks Akamaras.I am newbie to unix.anyways i’ll try my luck. Writer a shell script to capture the services logs…….. If you have the script executed using cron, you could direct the output to a file. You could create a file containing the list of the services you want to monitor and put the code of the script inside a loop. Each time the loop, loops the “service” variable will be replaced with the next service. One of the server is shutting down automatically, So how can I modify the script to check the server status and if the server is going to shut down the script should start the server again. You can’t have a script to start the server in case it shuts down. The script needs the operating system in order to be executed, if the server is down the operating system is down as well. I suggest to investigate and find the reason why your server is shutting down and fix it. How do I update this script to get all the services on the server. I think your best bet would be to use one of the modifications above. Get rid of the “service=replace_me_with_a_valid_service” line, and replace $service with $1 everywhere in the script. Then, save it as e.g. check_service.sh and call it for each service you want to check. Use a second script to run through a list of the services you want to check and run check_service.sh. What that list is will be up to you. Listing files in /etc/init.d/ probably won’t work, nor will using “service –status-all” because you’ll get a lot of stuff that shouldn’t be running at all times. Six years old and still found! Good script! I made some small changes to remove some duplication, and also make it work with qmail-inject. message="$service at $host wasn't running and has been started"
message="$service at $host is stopped and cannot be started!!!" hi can u please tell me how i can add this script to my ubuntu server what is the file name where should i place this file and what is the comand to start this script working for it. thanks u waiting for ur response. The name of the file doesn’t really matter. But as a good convention you should give the file the .sh extension. Where you place the file also isn’t important, just put it somewhere you think is logical and where you can find if when needed. hi akamaras, can you please tell me how to start the service from script. It’s been a while since this post was written. Most linux distributions have switched to systemd since then. script to check the service is running for a current IP address.Any suggestions? Haye guys the script was excellent but if we want to check status for two services and we need to check multiple services on one host how can we do that i thought to do with for loop and if loop but i am failed. I have small query regarding Devtest services weekly recycle. My requirement was I had devtest services which is running on Devtest Servers . So I want to restart those services in a weekly manner. How can use this script to check multiple services if they are up? You could have two or more clones of the script. One for each service you want to check. This is Uday.. I need a shell script for the below requirement. I’m new to Shell Scripting. 1. Need to check the status of 5 service’s which are running on multiple server’s. 2. If the service is not running, then it should restart it and check for the status. 3. We need to find the server list in the below file where the script is running. 4. Output show look like below. and preferable to restart it if it is down. 2. need to restart 1 by 1 httpd service. 3. first restart 1 instance and get the status through management server. if service up and running it’s going to next server and do the same process. like this i have to do the httpd restart. I have around 82 services like the below .to check the status and restart if its down.